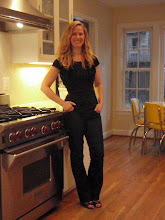 Right before I started this blog (a little over a year ago) I had Fitzy over for a little cooking lesson. I taught her how to make this delicious chowder. I am pretty sure she has made it several times since that lesson. Last winter she kept telling me that I needed to post this recipe. It is a keeper for sure. This recipe is very easy and quick to prepare. Easy, quick, and delicious --what more could you want? Melt butter on low to medium heat in heavy-bottom saucepan or pot (at least 3-qt in size). Saute’ chopped onion until soft, about 5 minutes. Add flour and whisk for a 1-2 minutes. Slowly whisk in milk and then add potatoes and cook for about 10 minutes until potatoes are fork tender. Add salt and pepper. Add whole piece of salmon and submerge it in the milk, cook for about 8-10 minutes until cooked through. Use large spoon to break salmon apart into bite-size pieces. Add corn and cook for another couple minutes. Taste and add more salt or pepper if needed. Stir in chopped dill and serve. Squeeze a some fresh lemon juice over each bowl as it is served. Enjoy!! !